We are in the final stages of processing the 2015 Fort Hunter collection and have begun to inventory the artifacts. As described in our Processing the Fort Hunter Collection blog the inventory process includes, “adding a description of each artifact or group of like artifacts into the digital inventory by catalog number, and bag and box them carefully to insure their preservation for long-term curation. This is all done in a systematic manner so that any given artifact can be easily accessed and utilized by future researchers.” During this process we try to add as much information to the inventory as we can that may be useful to a researcher and for us in our site analysis. This includes material types, condition or wholeness of the artifact, and date of production to name a few. Many of these characteristics are easy to identify just by looking at the artifact, but determining the date or date range of production is not always easy. Over the years archaeologists have identified different methods on how to date different types of artifacts. We will take a look at some of these techniques here. After years of research through historical documentation and through precise data collection from well stratified and dated archaeological sites, archaeologists have developed typologies for several different categories of artifacts such as ceramics, pipe stems, bead, projectile points and more. A typology is a system that uses physical characteristics to place artifacts into specific classifications. In the case of a dating typology archaeologists use the physical characteristics to identify the artifact within a specific type that correlates to a specific date or range of dates. One example of this analysis method is historic ceramics which have been in production for hundreds of years, but not every type of ceramic has been in production for that entire period. Due to technological advances especially during the mid-16th to mid-17th centuries, pottery craftsmen were able to create more refined pastes (less porous), glazes more purified in color and new methods of decorating the pottery (from hand painted to transfer printed) as time went on. It is these changes in how the ceramics were produced that created subtle clues to help the discerning eye determine the specific type of ceramic. In the case of ceramics it can be difficult to identify creamware from pearlware, whiteware and others, but through previous research we know that the paste in creamware is more porous than that of the others and that the glaze is often pooled with a green tint in crevices. It is often these physical attributes that help identify a specific ceramic as creamware. Once we have identified the piece as creamware we can then look at known production or manufacture dates from the typology and determine a date between 1760 and 1820 (Deetz 1996). When we have an entire or even a large fragment of a ceramic vessel, we can often determine the shape of the vessel or the type and method of production of the design on the vessel. Both of these characteristics are also used to narrow down a date range. So not only do we have a typology based on the type of ceramic, but we also have typologies with determined dates of manufacture for each of the different shapes and forms of decoration. Researchers comb through archives for manufacturing records which also aid in dating these historic period ceramics. Dating methods for prehistoric ceramics are dependent on typologies which were developed through careful analysis of such attributes as temper, decoration, design and form. For many native groups’ specific tempers, forms, designs and/or decorations have been attributed. Through many years of work on archaeological sites of different specific native groups a typology of pottery has been developed. Today many vessels can be easily identified with the use of this typology because there are so many different styles, each of which is attributed to different culture groups and periods. This is true of large fragments or whole vessels, but when it comes to small fragments with limited design or decoration on them, like using the porosity of the paste in historic ceramics. Archaeologists must use the temper type to determine where the pottery originated or if it could help identify what group occupied a site when combined with other evidence. Temper is a material foreign to the clay which is added to help prevent the vessel from cracking or breaking during the drying and firing processes. Common Pennsylvania tempers include chert, quartz, limestone, shell and more. The same process of collecting data from various sites over many years has also provided archaeologists with a projectile point typology. These typologies like that of the prehistoric pottery vary from region to region, but each typology is developed using the shape, size and lithic type of projectile points and context in which they were recovered. 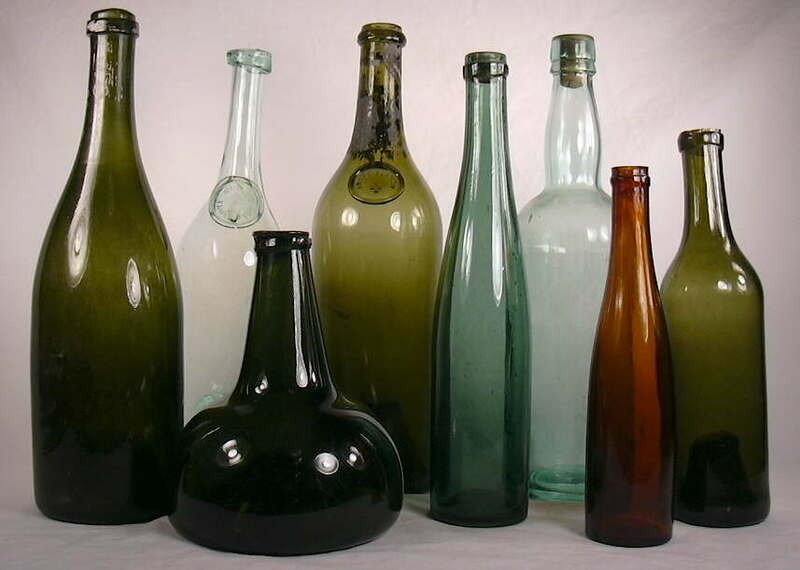 As with historic ceramics, archaeologists have developed typologies of glass bottles based on various physical characteristics. One part of the typology looks at the bottle lip or rim. 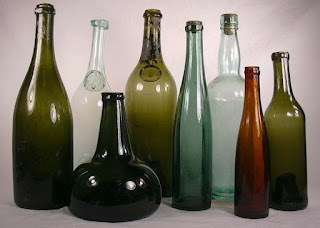 Several types of lips were put onto glass bottles using different methods. So, as with the ceramics, archaeologists can attribute different lips to a date range because as new technologies or methods of attaching lips to bottles were developed other methods were outmoded and the newer methods were used more frequently. This is also the case with the form or shape of the bottles. The shape of the bottle base changed over time as push-ups became more or less popular and round versus oval came in and out of use. There is also the use of molds, which leave mold seams on the glass that provide archaeologists with another dating tool. Finally, if a bottle has a seal or is embossed with a company name, archaeologists can find information relating to that company to determine the bottles time range of manufacture. 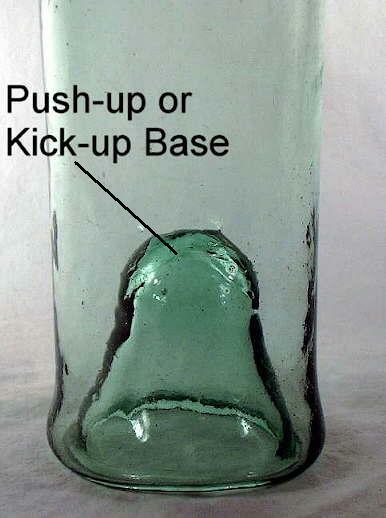 There are many ways we can date a bottle and for more in-depth information on this process please check out the Society for Historical Archaeology’s website at https://sha.org/bottle/index.htm. Another example of the use of a typology to determine the production date of an artifact is white clay smoking pipes, referred to as kaolin or ball clay pipes. In the case of pipe stems as with many artifacts, it is the advancement or change in technology and form that allows archaeologists to develop typologies. Based on historic documentation the length of pipe stems increased as time went on and in order to bore a hole through such long stems with no damage to the wall of the stem the size of the wire used to bore the hole had to decrease (Hume 1969). After a study of thousands of pipes both American and English one Mr. J.C. Harrington developed a system showing average bore diameter size and its correlating production date (Deetz 1996, Hume 1969). Today this system though still in debate about its accuracy, is widely used to determine the general date ranges of pipes with attached stems and pipe stem fragments, which provides useful information about the use of a site during different periods. As shown above there are many different typologies that archaeologists have developed in order to help us date artifacts and thus date different levels of sites. Those mentioned above are just a few of the typologies archaeologists use there are also bead, drinking glass, button, coin and many other historic artifact typologies as well as prehistoric artifact typologies such as projectile points and pottery. There are also ways to help narrow down dates to more definite ranges with the use of maker’s marks. A maker’s mark is basically a logo or trademark, which can include images, words, initials or dates that represent the maker of the product on which the mark is placed. These marks were placed on all kinds of products including glass bottles, ceramic vessels, various forms of metal objects and many other types of artifacts. Through registries and historical research it is now possible to find published lists of maker’s marks for both American and English companies, which show images of and describe maker’s marks and provide the date range of production for anything with that mark. Identifying the dates of manufacture of artifacts helps archaeologists to not only date the level of a site, but also understand the use of the land during that period. Doing this also allows archaeologists to compare sites with similar artifacts and dates to find similarities or dissimilarities that can help us to develop theories on types of sites and their use. We hope you have enjoyed this look into the analysis and research methods employed by archaeologists and will consider reviewing some of the resources listed below. 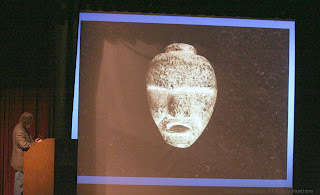 Our job as archaeologists and curators offers us a unique opportunity to examine archaeologically recovered specimens and create a picture of past human behavior through our material culture. Please visit our gallery of Anthropology and Archaeology on the second floor of The State Museum of Pennsylvania where you can view additional artifacts representing our archaeological heritage. 1996 In Small Things Forgotten: An Archaeology of Early American Life. Anchor Doubleday, New York. 1969 A Guide to Artifacts of Colonial America. University of Pennsylvania Press, Philadelphia. Its spring conference season for archaeology professionals, avocational enthusiasts and students once again. 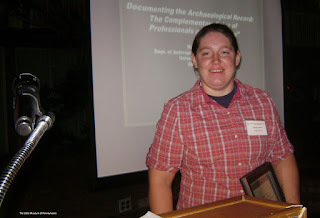 The State Museum of Pennsylvania, Section of Archaeology actively partners with the Middle Atlantic Archaeological Conference (MAAC), the Society for Pennsylvania Archaeology (SPA), the Pennsylvania Archaeology Council (PAC) and the Eastern States Archaeological Federation (ESAF), to protect archaeological resources, promote and disseminate scientific research and provide educational programming throughout the year. At annual meetings Museum staff regularly present papers about ongoing research and curatorial concerns; assist with and/or host meetings; help to review, administer awards and scholarships; and periodically serve as organization officers. We encourage all those who are interested in archaeology to support these organizations through active membership, annual meeting attendance, monetary donations and student sponsorships. Student memberships in MACC, SPA and ESAF have many perks in addition to discounted rates and association journal subscriptions. These organizations provide opportunities for support and professional development to budding archaeologists at the start of their careers. Here are some of the opportunities available to students and recent college graduates at the 2016 MAAC, SPA/PAC and ESAF 2016 annual meetings, as well as links to and additional information about conference programming and registration for all interested in attending these events. Click the provided links for more information about the 2016 MAAC Conference Program and to visit the Conference website. The Friday evening Keynote Speaker is Charles Ewen, PhD, Croatoan: Guidepost or misdirection? Walk-in registrants are welcome through this Saturday, March 12th, 4pm. The call for poster and paper presentations ended January 31st; however, there are many opportunities to learn about avenues of professional development for students and recent graduates interested in attending the program this year. Graduate and undergraduate student geared social and steering committee activities kick off Friday morning with the Student Committee Coffee hour at 11:00am, the Friday evening MAAC Student Committee Round Table (5-6pm), and the Student Mixer Saturday evening (7:30-8:30pm). The highlight of the student focused programming is a mentoring meet and greet workshop session planned Saturday afternoon with representatives from cultural resource management firms, graduate schools and federal agencies. Participating students and recent graduates will get the chance to network in a 20-minute ‘speed dating’ format with archaeological professionals from private, academic and public sectors as well as gain useful, one-on -one direction on how to build and present professional credentials. For this session, participants are encouraged to bring a copy of their resume for review. 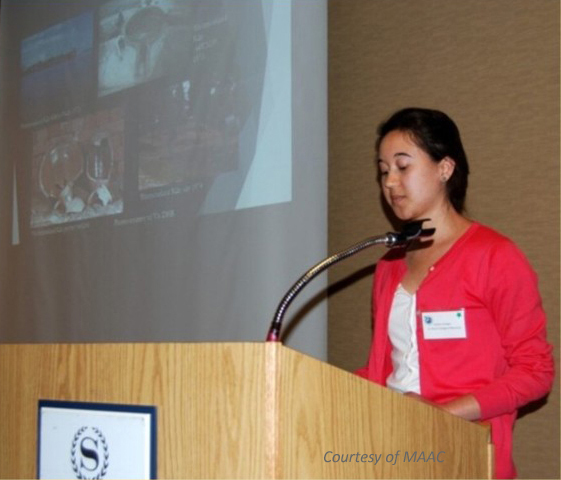 MAAC will soon begin soliciting student papers and poster presentations for 2017. Competitive scholarships are available for one undergraduate and one graduate paper every year. Winners receive a $100.00 award, a one-year membership with MAAC, and the opportunity to publish in the Journal of Middle Atlantic Archaeology. Whether or not student presenters choose to participate in the competitive scholarship program, most participants are able to attain a sponsorship award for the cost of one year’s student membership and the conference registration fee. Additionally one undergraduate and one graduate student poster presenter is awarded a special recognition for excellence during the conference. The 2016 poster presentations will be adjudicated by Kurt W. Carr, Senior Curator of Archaeology at the State Museum of Pennsylvania. There is still time to join the program as a paper presenter and take advantage of scholarships available to high school and college student participants. For general attendance, online and mail-in pre-registration is open through April 13th. 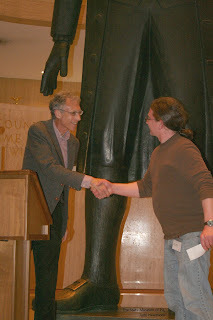 James W Hatch Scholarship- a $100.00 scholarship awarded to high school or college students by the Pennsylvania Archaeology Council in cooperation with the SPA to attend the joint PAC/SPA annual meetings. Preference is given to students planning to present papers. Follow the scholarships link provided above to find more information. W. Fred Kinsey Scholarship- the W. Fred Kinsey Scholarship was created in 2009 to encourage students to participate at the annual meetings of the Society by presenting scholarly research in a friendly, professional atmosphere. Dr. Kinsey was a curator with the former William Penn Memorial Museum, now The State Museum, before going to Franklin and Marshall College and The North Museum from the early 60’s thru the mid 1980’s. He made significant contributions to the archaeological record and mentored many students who went on to become noteworthy archaeologists on their own merits. Students currently pursuing an undergraduate or graduate degree are eligible to apply for the W. Fred Kinsey Meeting Scholarship. 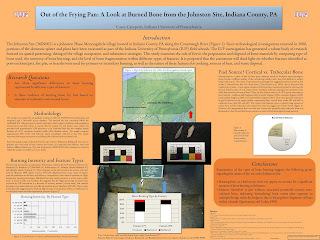 Eligibility is dependent on a complete, single-author paper with PowerPoint slides (if appropriate) to be presented at the annual meeting of The Society for Pennsylvania Archaeology. Student presentations must be accepted by the program chair for the SPA annual meeting to qualify. 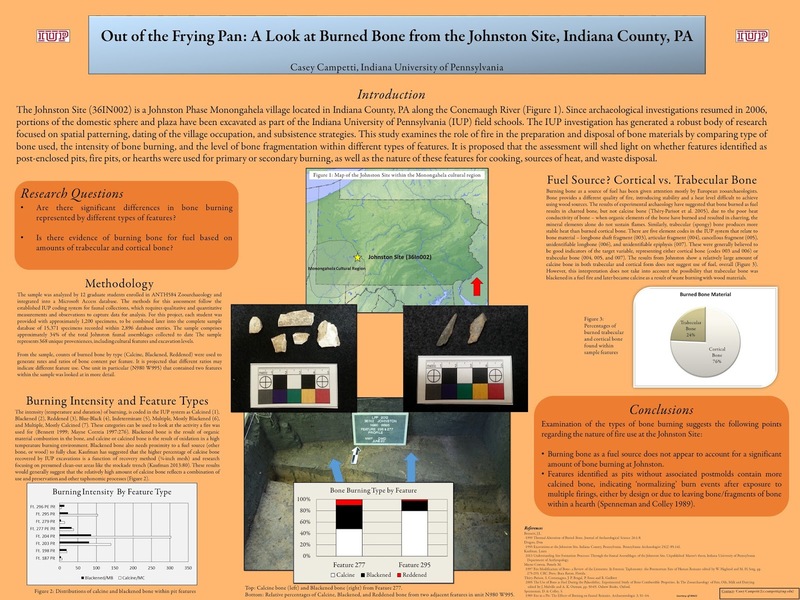 Papers should focus on topics relevant to Pennsylvania archaeology. Award of the Scholarship requires submission of the complete paper by a single author, in an electronic format (Word or WordPerfect) to the Program Chair by the regular submission deadline date for papers as set by the Program Chair. The Program Chair Person this year is Amanda Valko, submission deadline for abstracts is March 31, 2016. Selection of the winning paper is decided by committee review and will be based on quality of original research, presentation and appeal to the avocational and professional archaeology community. The committee consists of at least three members of the Society, one from staff of the PHMC and one member from the education committee of the Society. 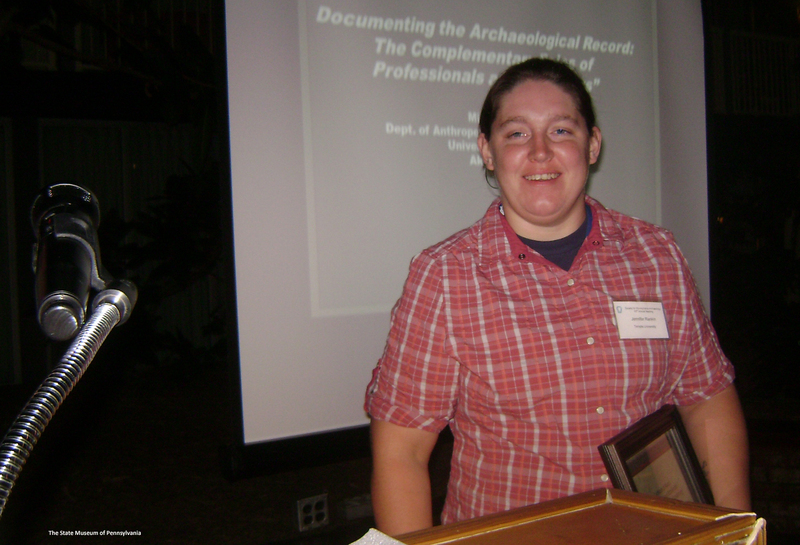 Presentation of the award will be announced at the Annual Meeting of the Society for Pennsylvania Archaeology on April 15-17, 2016 in West Middlesex, Pennsylvania. The selected paper will be published on-line through the PHMC website and submitted for review to the editor of the journal Pennsylvania Archaeologist for possible publication. The editor of the journal will make the final decision on publication. Donations are encouraged to support the W. Fred Kinsey Scholarship fund. In addition to the monetary award and publication assistance, one year of membership in the Society is included in the award. Questions regarding this scholarship may be directed to Janet Johnson, Curator of Archaeology at the State Museum of Pennsylvania (janjohnson@pa.gov). This year’s theme is, “Digging down into Pennsylvania’s Past: Pre-Clovis through Postmodern” with open sessions Saturday morning, Saturday afternoon, and Sunday morning. The Saturday evening banquet speaker is Dr. Aksel Casson, Assistant Professor of Anthropology, Department of Interdisciplinary Studies, Slippery Rock University, Destruction of Cultural Heritage in Syria: Thinking Globally and Locally. 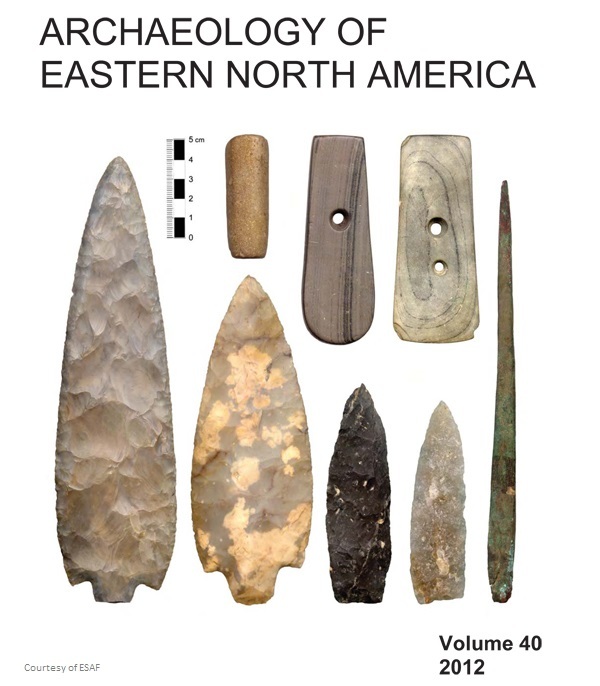 The study of tool stone procurement and distribution has been a long-standing interest for archaeologists in Pennsylvania and surrounding regions. Despite this, there have been few systematic archaeological studies of quarries, outcrops and secondary sources. 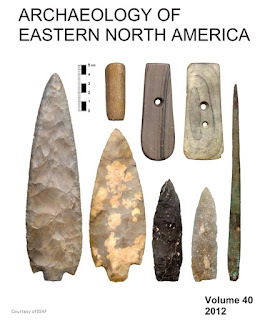 This symposium summarizes the available information on quarries and other tool stone sources and the exploitation of these resources by the prehistoric inhabitants of Pennsylvania, both hunter-gatherers and horticulturalists. The Geologic Origins and Distribution of Tool Stone in Pennsylvania. Digging into Quarry Sites: Theoretical Approaches and New Analytical Methods for Understanding Mined Landscapes. Online registration is now available for presenters and attendees. 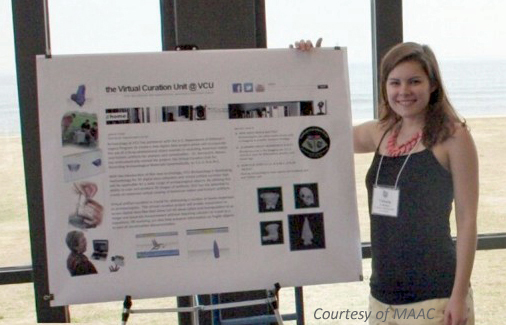 Similar to MAAC and SPA annual meetings, a competitive scholarship is available to student presenters. The best student paper award is open to all currently enrolled students who submit single author papers for presentation and review at the ESAF meeting. This year’s application deadline coincides with the general presenter submission deadline, September 15, 2016. Papers are judged both on content and oral presentation and the winner is announced at the banquet, Saturday night. Award recipients receive a certificate of award, a cash prize, and a one-year membership in ESAF. At the request of the author, the winning paper may be considered for publication in Archaeology of Eastern North America at the discretion of the AENA editor. ESAF also encourages state societies like the SPA and cultural resource firms to sponsor students’ meeting registration fees and/or membership dues. Students don’t forget to also seek further funding sources through educational institutions. Academic departments, colleges and universities often provide grants and awards to support student research and participation in professional conferences. These grants can offset the cost of travel, food, lodging, and registration fees. Note: If you attended the 2015 State Museum of PA’s Workshop in Archaeology, or caught our exhibit at the PA Farm Show this January—Weed Seeds to Garden Seeds: the Archaeology of Farming in the Keystone State—you can revisit similar topics on a wider regional scale at the MAAC meetings in the Track A Friday morning session, Foragers in Middle Atlantic Prehistory. Also, get a sneak peek into the 2016 PA Workshops in Archaeology, scheduled for Saturday, October 29th. This year’s Workshop theme, prehistoric symbols and belief systems, will be touched on by Friday afternoon MAAC Track A session presenters—Changing Landscapes: archaeological evidence of ideological, social and technological transformation amongst farmers in the Middle Atlantic Region, c. AD 1050 – contact. Andrew Wyatt, 2009 SPA annual meeting presenter, slide image of Susquehannock maskette.